A Brief History. Know The Company, Know Your Tool. 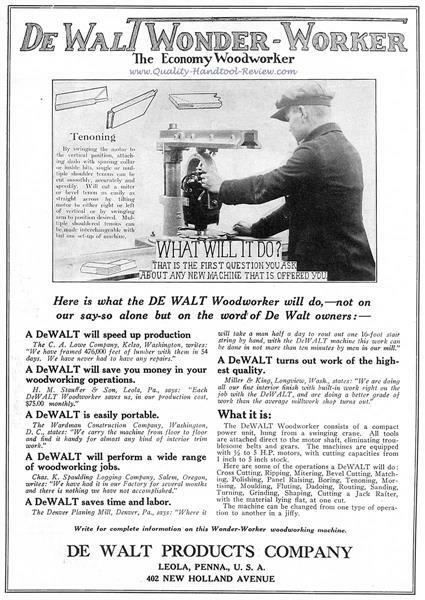 The DeWalt Tools history begins in 1922 with a man who was the superintendent of the Seabrooke Farms wood mill in Pennsylvania by the name of Raymond E. DeWalt. Having worked in construction and mill work most of his life, he had found a talent for repairing tools and creating new ones by modifying things on hand to expand the production of workers and cut costs. anything else he had created to date. After two years of perfecting what Raymond now called the radial arm saw, The DeWalt Products Company was created at 402 New Holland Ave. in Leola Pennsylvania in 1924. Using the name “Wonder-Worker”, Raymond DeWalts new radial arm saw becomes his first success and, like the Dremel Moto-Tool, was a game changer for them and the world of wood working. Able to be raised and lowered, pulled back and forth, rotated for any angle and pivoted for any bevel, it was able to quadruple a workers output. Like many American companies, in 1941 DeWalt Tools finds itself needing to expand quickly to meet the requirements of World War II and as a result, also like so many others they found themselves at a much stronger place after the war. Not only financially, but also in brand name. DeWalt is still well known today as a powerful and durable contractor grade tool. The strength of the name that was earned through WWII and beyond was tested and proven from the purchase of the company by AMF in 1949 through its sale to Black and Decker in 1960 who still owns the company today. In 1992, DeWalt Tools' parent company Black and Decker began a company wide effort to overtake a majority share of a market began by Makita Tools in 1971, that being the small to medium size contractor (and their employees like me and many of you). 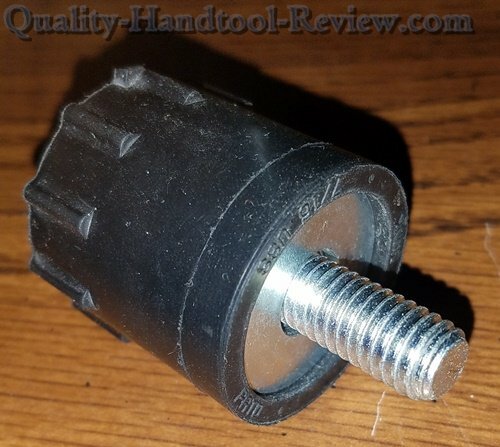 However, their current line of Black and Decker tools were very well known as a lower grade home improvement quality that would not be accepted in the professional contractor world. Their solution was to start a massive push using a name that they rather foolishly let lapse into near obscurity over the years, DeWalt. Still remembered as a name that represented strength and durability, which is a testament to just how popular and loved DeWalt tools were from the days of the radial arm saw through WWII, Black and Decker was able to merely rebrand their existing tool line up with the new name and bright yellow colors and began to slowly steal away the interest of the male dominated construction industry from Makita. DeWalt Tools Rebranded No More! If you’re wondering whether that shiny new tool that you are thinking of paying good money for is just a yellow Black and Decker, you don’t have to worry. 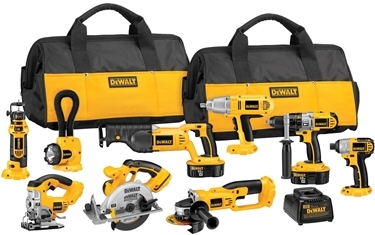 In 1994 DeWalt rolled out their own line of more than 30 high tech cordless tools that were the most powerful of their time at 14.4 volts, a tool line that continues with their newest 20v brushless technology and even 36 volt brushed powerhouses today (2014). Since their push to claim the majority of the small to medium contractor market, they had to rise to the high standards set long ago by market leader Makita. You know that we here at QHTR love American made tools. They keep our friends and neighbors working and ultimately make us a stronger country. DeWalt has been staying strong with their commitment to bringing most of their manufacturing back to our shores with six facilities throughout the U.S. that produce tools with “global materials”. Each package is marked with the “Made In USA” label so you know. Now, that global material thing may irk some, but it’s a start and much better than most companies these days so we’ll be sticking with DeWalt on this one. Along with made in America, you can add a solid warranty to make for a solid tool set in your box. DeWalt will maintain and replace bad parts (from normal use, not damage from abuse) for free for a full three years (or only one if it’s labeled). Hand tools have a limited lifetime and mechanics tools have a full lifetime warranty. You just can’t beat that. These days as the consumer need rises, we’re seeing advancements in battery technology that will help everything from cars to power tools. Within those advancements, lithium-Ion batteries along with the newest brushless designs will continue to make our tools smaller, lighter and more powerful. With their 36 volt (the most powerful that are generally available that I know of) and their brushless models, DeWalt tools have succeeded in not only re-inventing themselves but also creating a powerful, durable and versatile line of tools that are worth your money. DeWalt is a registered trademark of the DeWalt Industrial Tool Company.